Can Nominal rating be enough to go for the right filter element choice? 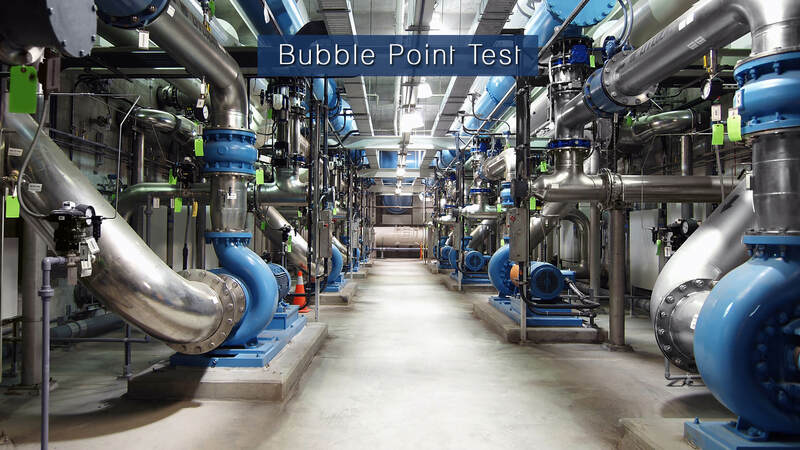 One of the best ways to test the non-destructive integrity test is the bubble point test. Under this process, the fluid is held in the pores of the filter by capillary forces and surface tension. Practically all that is done is the most significant pore size of the filter can be vested with the wetting element fluid. The pressure is measured on arrival of the first bubble stream that is emitted by introducing air to the open end from the upper surface of the element. Thus the point at which the first stream of bubbles rises is said to be the largest pore. In this test, the characteristics other filter medium are measured without the use of particles. It is on the principle that for a porous filter medium when under wetting element by a given fluid, the pressure required to force in a gas bubble through a pore is inversely proportionate to the diameter of the orifice. The law of capillary tubes is derived from Poiseuille where the relationship between bubble point pressure and pore diameter is studied. It helps to measure the single largest pore’s size in a filter element. With further increase in pressure will give the second stream of bubbles that show the second most extensive pore, then with increases in pressure third, fourth, fifth and so on and so forth. From this, the mean pore size of the element is concluded. The pressure given on for the continuous stream of bubbles is known as the clear bubble or boils point. K = a factual constant dependent on units of testing, filter material etc. d = pore diameter, µm since this constant is essentially a capillary shape factor and is related to the material being tested as well as its form. Therefore, when P is inches column of water and d is in µm, the value ranges from 143 to 149. According to this, the most significant pore of the filter tested will be 17.9 to 18.6 µm if the bubble point of 8 in. H2O is present. However, K value differs due to the different material used for the construction of the filter element, the shape of the components. It is the Poiseuille’s law that makes it clear as to why and how the bubble point is a relative comparison value for a given medium. The benefit of conduction bubble test point is that it is non-destructive. It does not create any harm or damage to kind of filter elements or fluids. It is simply used to understand the integrity of the filter. It is to state that there exist no holes in the body of the filter’s perimeter. This is one of the vital factors from a manufacturer point of view as well as a user.